So did you enjoy going through the DIY ideas in yesterday's post? The paintbrush idea was loved by so many of you. Thanks for all the lovely comments and the emails you sent me about the series. I promise to put together many more series like this in the future as well. Alright! Lets get back to DIY for the time being. Six more ideas for you. Please click on the links right at the below for sources. 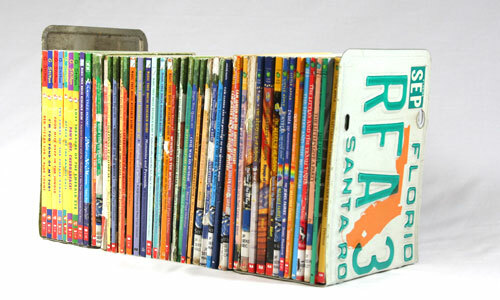 License plates bookends. A perfect way to use those old plates and make them into something so useful...right? Ok..lets be honest how many of you are sitting with many many empty jars and don't know what to do with them..other than using it for storing some more stuff :) I thought this idea was really neat. 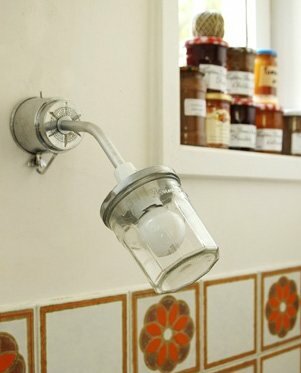 Perfect for a kitchen actually! I would have used modge podge to stick some colorful fabric on the holder though. 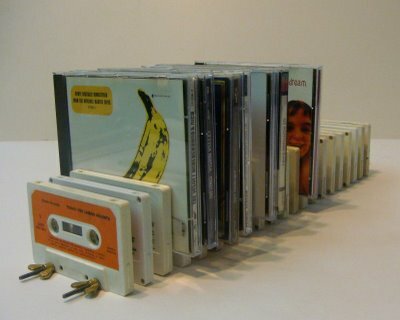 What a clever way to use old cassettes & not in use CDs. Completely in love with the concept. Use them to store many more..ahh! 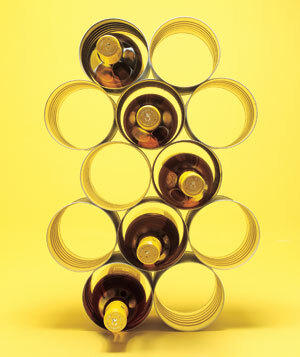 Old cans = New wine holder. Like it? I think this will also make for a pretty centerpiece if one stuffs it with flowers & trinklets. Imagine! The coolest collage ever. It sure will be a lot of fun putting this "Exhaust fan collage" together. So what is your style: Eco chic (day four) or Eco Cool (day five)? If you have missed my earlier posts of the Go Green series, click here.To read more about the Go Green workshop click here and here. 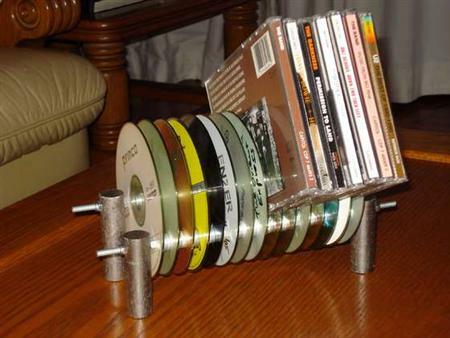 I loved the CD holder idea. I have so many cassettes at home. I will surely try it out. Love the license plate idea and the old jar idea! Have some of the former and loads of the latter lying around....I might just put them to good use! Thanks for this series, loving every bit of it. GB: Good to hear that you have enjoyed the series!